Although Odessa is a young city, that have a rich history. Many cultural figures, writers, poets and artists came here. In addition to the beautiful views that were so inspiring, the restaurants in which Mayakovsky and Kuprin had dined were preserved in the city. 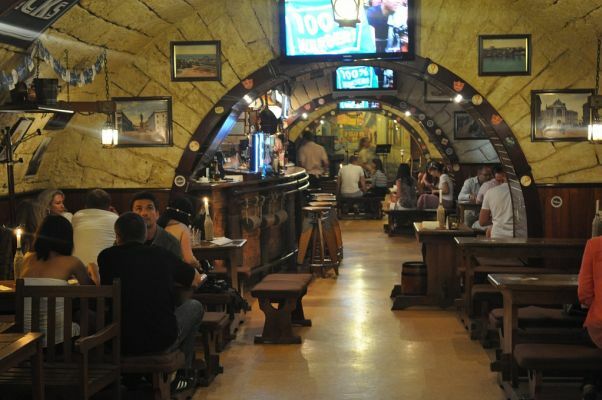 You have the opportunity to feel yourself in their place by visiting the Fanconi Café and the pub Gambrinus. Cafe Fanconi is not just a place where you can eat deliciously. It is a place saturated with history. In the evenings wealthy residents of Odessa gathered in it, negotiated and concluded deals. Fanconi is a true record holder in terms of the number of legends around the restaurant and references in the literature. Interesting for tourists will be the building in which it is located. The building was the profitable house of the mayor of Apollon Grigoriev. It is made in the style of medieval castles in the gothic style, with high arched windows, columns and statues that adorn the facade. On the upper floors of the house, as they say, were the most expensive apartments in Odessa. From the nineteenth century to the present day, the building adorns Odessa, and is included in the top 15 most beautiful houses in Ukraine. In the XIX century, at the corner of Ekaterininskaya and Lanzheronovskaya streets, in the same house, Jacob Fanconi opened his famous cafe. The building was rebuilt, but the establishment was reopened in 1913. The owner has developed a secret recipe for delicious chocolate. And the cafe became popular quickly. During its existence, the poets Bunin, Chekhov, Mayakovsky, Babel, Ilf and Petrov visited this place. And, of course, he was not forgotten to mention in literary works. In the Fanconi acted billiard and card club, summer terrace, held auctions. Here they were enriched and ruined in one evening. From visitors there was no release. It was in this institution that they learned the latest news in order to keep abreast of what is happening in Odessa. Here was the headquarters of the famous Mishka Japonchik. Every day he went to his favorite cafe, where he had his own table. Thanks to the location in the center of the city, where life is buzzing, brokers and stock exchange players gathered here. He did not want to conduct his affairs in the remote districts of Moldavanka. The king of Odessa bandits preferred to take couriers from Fanconi. The strategy of scams and tactics of thieves’ raids was also developed there. About the historical institution, in 1927, the film Fanconi Café was filmed. 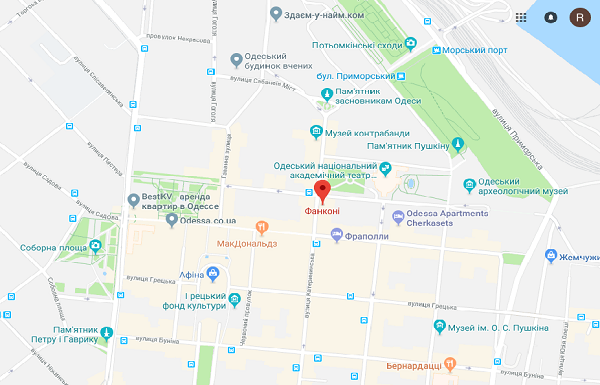 Slowly walking on Deribasovskaya street you will see the sign Gambrinus. Initially, the pub opened in 1868, and was on the Greek Square. And then he moved twice. 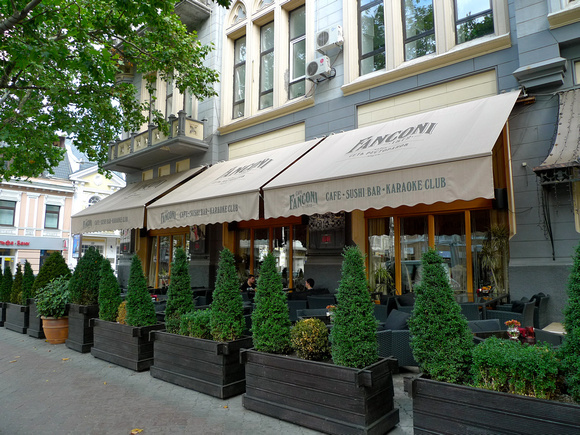 The second Gambrinus is located on the corner of Deribasovskaya and Preobrazhenskaya streets. The tavern was kept by a couple of Germans. It became insanely popular and was filled to the point of dumping. About him wrote articles in newspapers and magazines. A lot of time has passed and now, for the third time, the institution was moved only 100 meters. For the third Gambrinus they chose an old basement room. 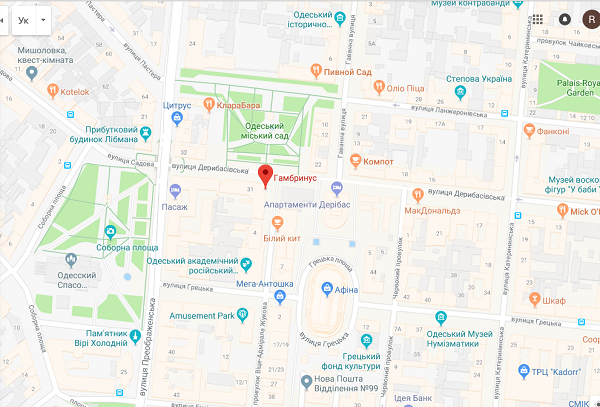 And to this day he is on Deribasovskaya Street, 31 the corner of Vice-Admiral Zhukov, 2. The historical figure of this institution is Sashka-musician. Alexander Pevzner, who learned the tricks of the violin game, became the legendary violinist of Gambrinus. He was a talented performer, always pleased guests and enjoyed the huge success of the public. One of the famous people who lived in Odessa was Alexander Kuprin. 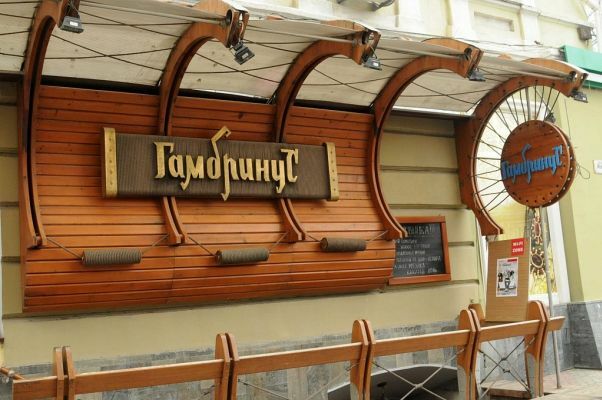 In 1907, he gave the world a story Gambrinus, dedicated to the Odessa pub on Deribasovskaya. He so fell in love with the image of Sasha-musician, that the author used his image in the story. That’s when the real glory came to the musician. After publishing the story, Kuprin even came to Odessa and gave Sasha a copy of the magazine. All the traditions and the proprietary marine style of the pub are now preserved. Instead of tables there are wooden barrels, vaulted ceilings decorate the interior, and every night the musicians play famous Odessa songs. 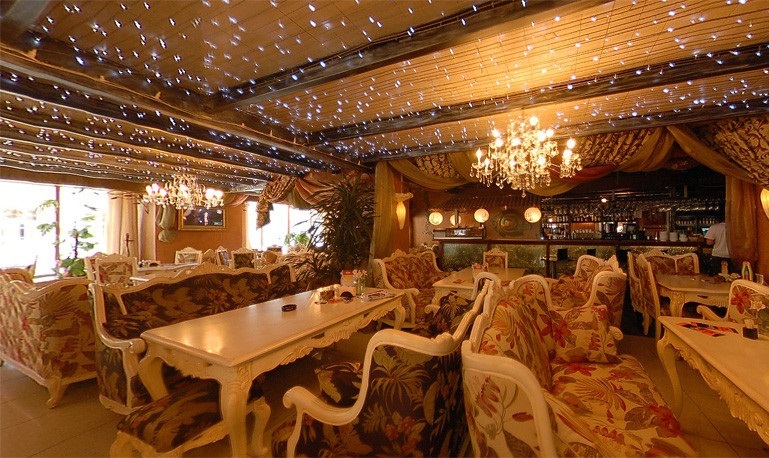 The food here is simple, «pure Odessa», also different types of beer are waiting for you.